Phil has strong background in development, operations, and marketing. He has been a career consultant working with director and corporate leaders from companies such as Dell Computers, Motorola, and Applied Materials. Phil has also taught professional and career development courses and provided individual coaching to over 900 managers and executives . 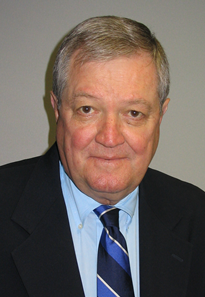 Phil was a senior staff consultant with the Drake Beam Morin executive center in Austin, Texas. He was President of Executive Resource Management, a firm specializing in career change and executive development. His non-profit health agency career included regional consulting in fund raising for the National Multiple Sclerosis Society and executive positions with the American Diabetes Association, including a consulting role with the International Diabetes Federation, with training and educational programs conducted in Madrid, Mexico City, Guadalajara, Sydney and Washington, D.C. Active in a number of community and statewide organizations, Phil is Past-President of the Texas Renal Coalition, an advocacy group for patients with kidney disease, President of Zilker Theatre Productions, which has produced free outdoor musicals in Austin for 48 years, and a member of the Technology Advisory Group of Austin. Phil earned the Ph.D. from The University of Texas ,and he was an Assistant Professor of English in Austin before changing careers by joining the non-profit sector. He is a veteran of the U.S. Army. Phil pursues interests in literature, tennis, Texas music and Texas history; he has published articles in the NEW HANDBOOK OF TEXAS and the HANDBOOK OF TEXAS MUSIC.